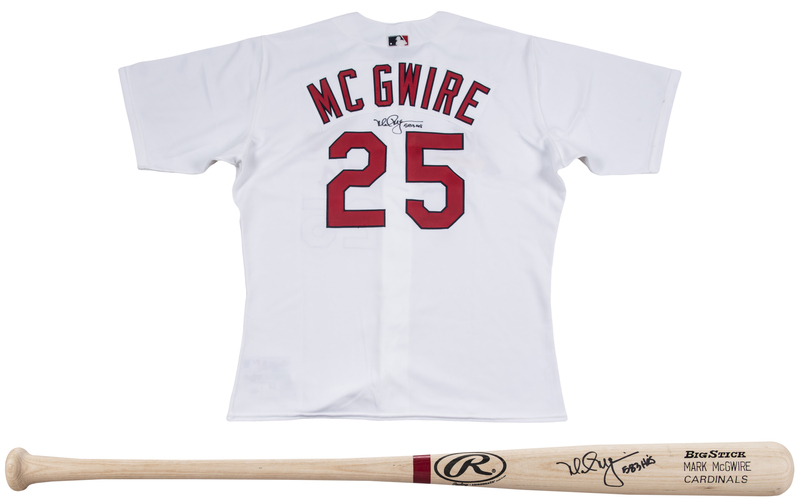 Offered here are two items signed by St. Louis Cardinals and Oakland Athletics slugger Mark McGwire. “Big Mac” was the first player to hit 70 home runs in a season, completing the feat in the legendary 1998 season. 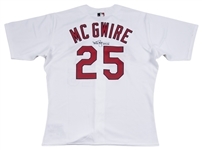 The first item in this lot is a white size “52” Cardinals home jersey signed by McGwire. 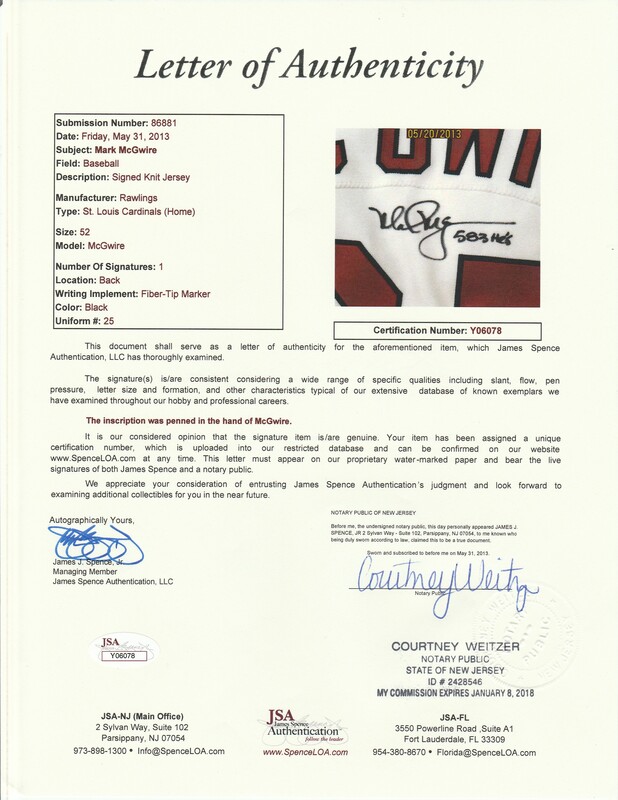 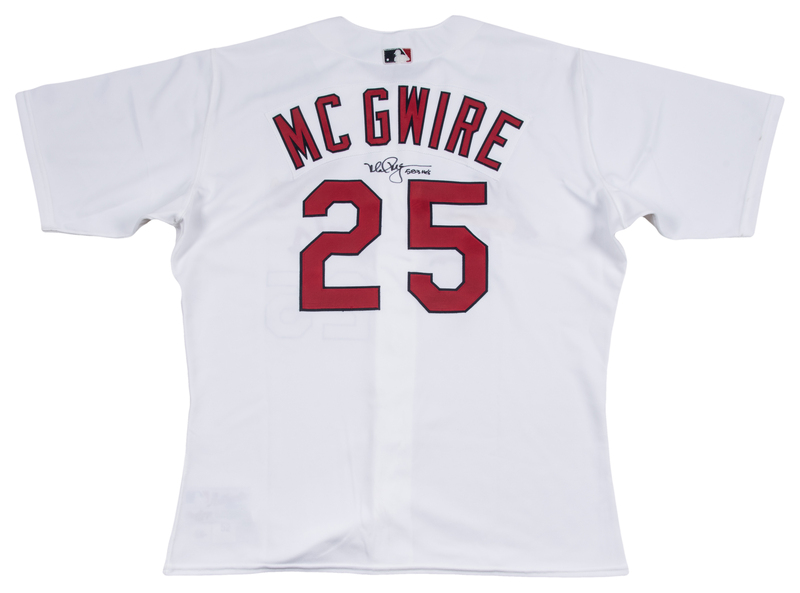 McGwire has signed the back of the jersey in black marker, inscribing “583 HR’s” in addition to his signature. 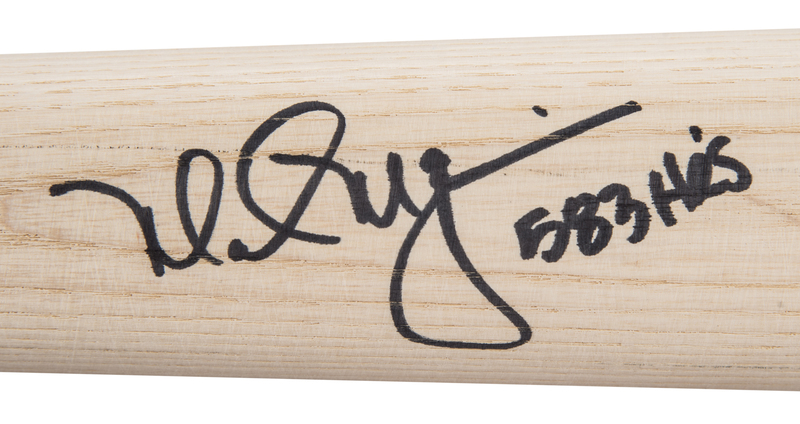 The second item in this lot is a Rawlings Big Stick bat with a red ring on the handle. 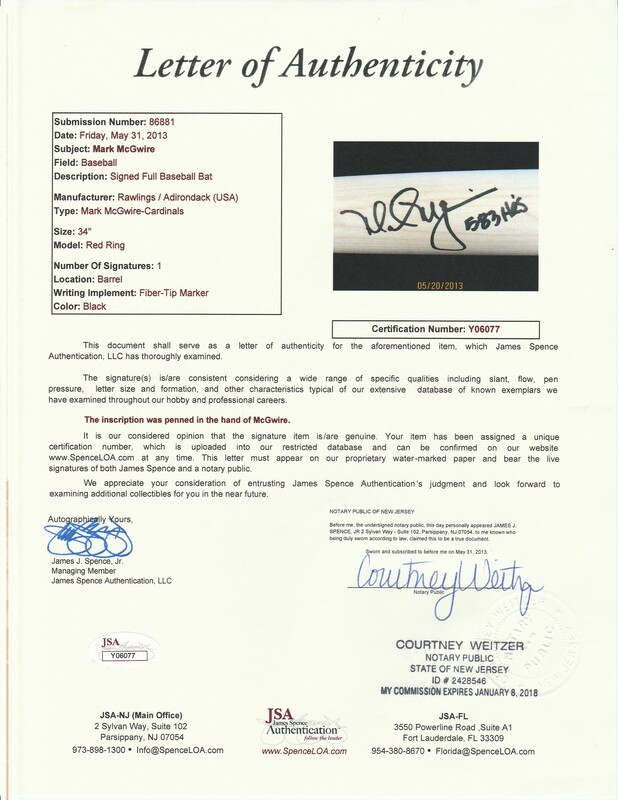 It has been signed by McGwire in black marker on the barrel. 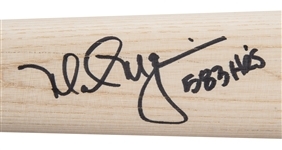 The 12-time All-Star inscribed “583 HR’s” next to this signature as well. 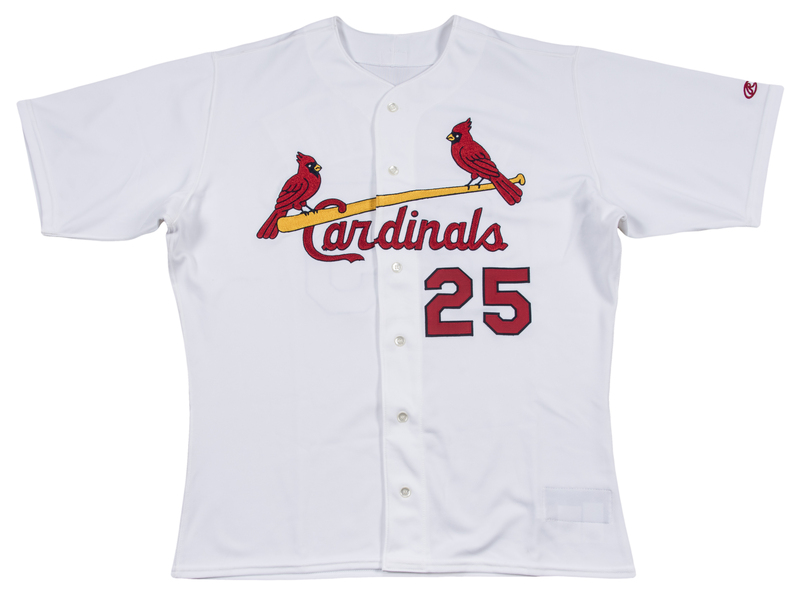 Each item in this lot comes with a LOA from JSA.